Now until March 31, 2019, when you purchase a mazu M2500 System you get $250 in FREE service discounts: FREE Activation and 3 months FREE Service on the Explore Plan. All you need is Promo Code: BoatShowSpecial. Don't miss out on these savings! Using a Minn Kota® Talon® for precise boat control has never been easier. In fact, there are now five ways for anglers to activate the Talon from anywhere in the boat. The newest way utilizes Bluetooth® communication to pair the Talon with Humminbird® units on the boat for total boat control on one console (including the ability to pair Humminbird units with select Minn Kota trolling motors). 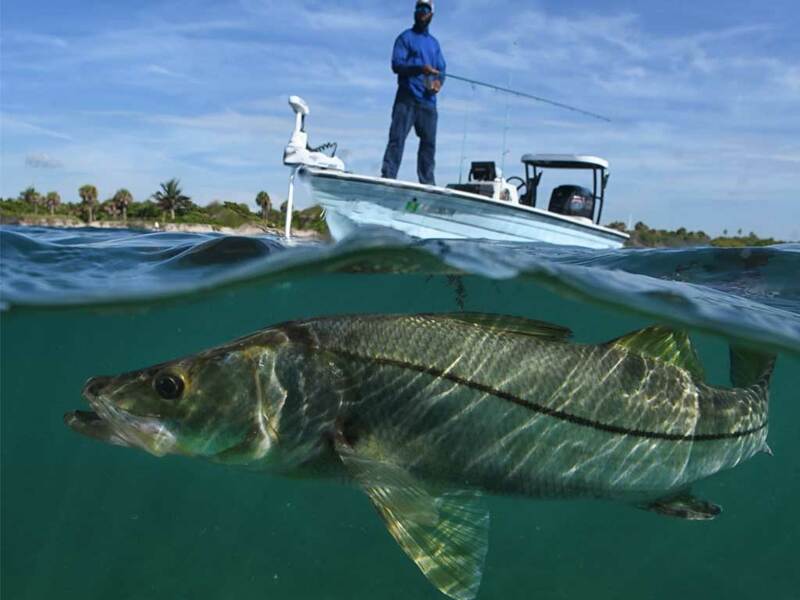 Anglers can also engage the anchor using a foot switch, with a wireless remote (every Talon comes standard with two), via the new Talon smartphone app, and with the Talon’s built-in control panel. For more information visit MinnKotaMotors.com/Talon. JOHNSON OUTDOORS is a leading global outdoor recreation company that turns ideas into adventure with innovative, top-quality products. The company designs, manufactures and markets a portfolio of winning, consumer-preferred brands across four categories: Watercraft, Marine Electronics, Diving and Outdoor Gear. Johnson Outdoors' familiar brands include, among others: Old Town® canoes and kayaks; Ocean Kayak™ and Necky® kayaks; Carlisle®paddles; Extrasport® personal flotation devices; Minn Kota® fishing motors, batteries and anchors; Cannon® downriggers; Humminbird® marine electronics and digital charts; SCUBAPRO® dive equipment; Silva® compasses; Jetboil® outdoor cooking systems; and Eureka!®camping and hiking equipment. With the inclusion of brand new technologies like MEGA Imaging+™ and Dual Spectrum CHIRP Sonar, the new SOLIX® Series second generation (G2) units continue to build on Humminbird’s commitment to giving anglers a more complete picture of the water beneath them to help them find and catch more fish. When Humminbird® introduced award-winning SOLIX, it was recognized as the most advanced fish finder of its time. Now, with new technologies and unmatched integration capabilities with Minn Kota® trolling motors, the SOLIX is once again redefining excellence in the category. MEGA Imaging+, featured in the new SOLIX G2 units, extends Humminbird’s exclusive and best-in-class imaging capabilities down 200 feet for MEGA Down Imaging+TM and 200 feet to each side with MEGA Side Imaging+ TM. Humminbird’s MEGA Imaging+ technology is in the megahertz range with performance that’s three times greater than traditional 455 kHz frequencies. It provides the clearest, sharpest imaging returns ever, unlocking more fish and structure with 20 percent more detail than MEGA Imaging®. Element delivers the sharpest views of the underwater world via HyperVision™ 1.2 megahertz super high-resolution sonar technology and a single, all-in-one transducer. HyperVision technology takes CHIRP sonar, DownVision, SideVision, and Raymarine RealVison™ 3D sonar to the next level of precision imaging and fish identification, helping you see and understand structures, vegetation, bait, and gamefish in real time with lifelike clarity. 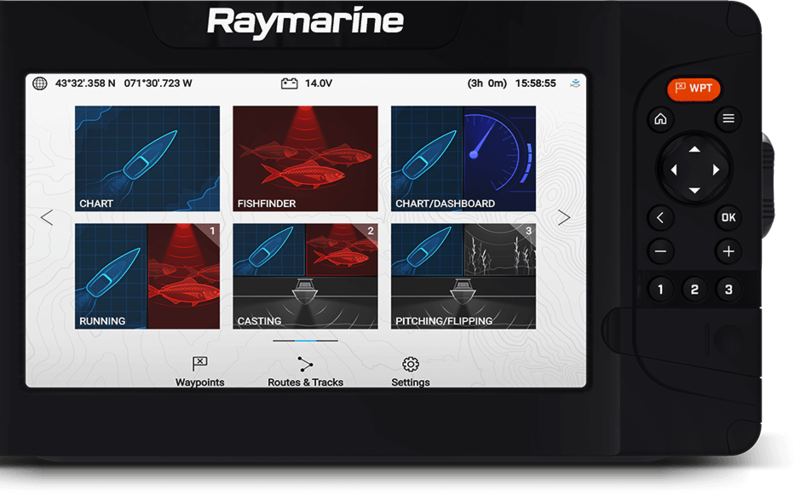 Element provides support for numerous desirable fishing-chart options, including Navionics, LightHouse NC2 with Fishing Hot Spots, Standard Mapping, C-MAP and more. Best of all, Element makes it easy to produce your own maps while fishing or underway. 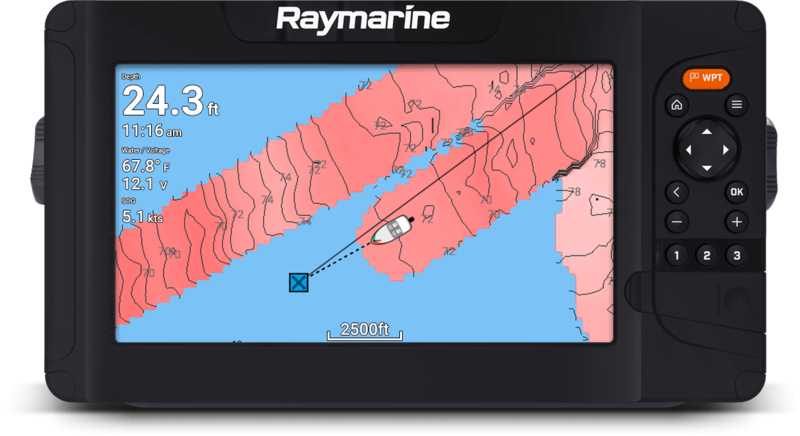 Navionics SonarChart Live and Raymarine RealBathy™ personal sonar map recording allow Element to produce the custom maps the other guys wish they had, but don’t. 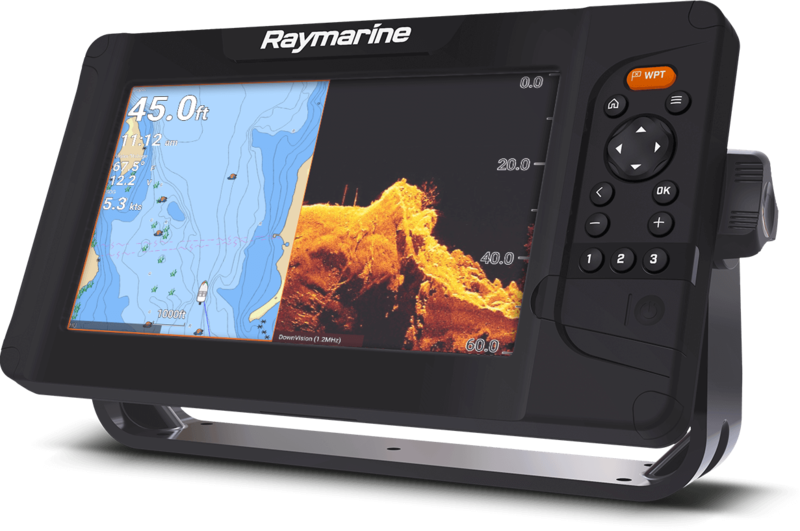 Offering superior Raymarine sonar, unrivaled speed, simplicity and custom-mapping ability, Element delivers Raymarine’s top fishing technologies at angler-friendly prices starting at just €595.00.